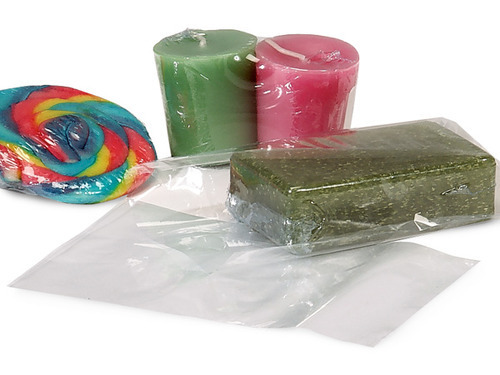 With the endorsement of our skilled professionals, we are extremely engaged in offering a vast range of PVC Shrink Film Bags to our valuable clients. Widely used for packaging of various kinds of products, it is manufactured using standard quality approved PVC and contemporary machines. Moreover, it is available in various sizes. The offered range of product is manufactured in compliance with the universally accepted norms of quality in order to render maximum satisfaction to our clients. We started our operations in the year 2007, at Nagpur, (Maharashtra, India) and with the time, “Crystal Vision Packaging Co.”, has managed to position itself as the leading manufacturer, exporter and supplier of PVC SHRINK FILMS , PVC / PET SHIRNK LABELS , BOPP LABELS , LAMINATED POUCHES , TWIST WRAP FILMS & PACKAGING MACHINERIES . The excellent leadership and farsightedness have helped us to grow stronger and create a substantial position in the industry. We assure to supply the best products at market competitive prices. Over the years gone by, we have derived tremendous response from the market. To accomplish this, we engage the best of quality control measures from the industry. We have a vast infrastructure with fully equipped Automatic Machines and Testing Devices which helps us to deliver consistent Quality .